A Timeless Address with a Modern Twist! The Lincoln at Fair Oaks luxury apartments in Fairfax, Virginia, offer modern floor plans and world-class amenities for comfortable, care-free living in a perfect metro Washington, D.C. location. With one, two and three bedroom floor plans that complement any lifestyle, each rental apartment home features in-unit washers & dryers, alarm systems, fireplaces and built-in bookshelves. Our newly renovated homes showcase stainless steel appliances, granite countertops, modern cabinetry and crown moulding. 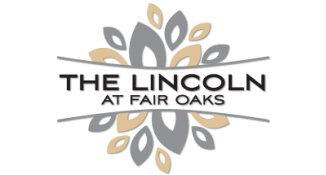 Amenities complete with garages, a playground, a new outdoor "al fresco" dining area, swimming pool, fitness center and valet trash pickup, you will enjoy a life filled with luxuries at The Lincoln at Fair Oaks. You and your pet will love spending time in the bark park at our pet-friendly apartments. Situated in western Fairfax, The Lincoln at Fair Oaks is ideally located to bring you the best of suburban life with easy access to our nation's capital. When you're in the mood for shopping and fine dining, we are are minutes away from both the Fair Oaks Mall and Fairfax Corner South. If you're looking to get back to nature we're also less than five minutes from both Piney Branch Park and Brentwood Park. And with easy access to I-66, and highway 50, commuting into the DC Metro area becomes a relative breeze. Come to The Lincoln at Fair Oaks, the best luxury apartments in Fairfax, and we will help you feel right at home!